Not all sites are compulsive – let’s look into why that is. 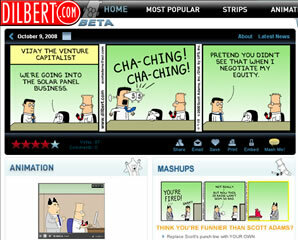 Examples looked at Dilbert and I Can Has Cheez burger. Only one post per day. No need to return again in the day. Narrative of the strips doesn’t encourage you to go backwards, as the story unveils in reverse. Not satisfying. No random button, so no position given to start your journey. 5-7 LOL cats a day. It feels random, but posts are about every three hours. No narrative, as each post stand alone. Random button offers you a ‘new’ one from the past – so you’re fulfilled. Feelings of anxiety if you haven’t checked. The above Web site checking symptoms are the same as gambling addiction. The scientific name is Operant Conditioning – you get a reward if you do something. BF Skinner studied this in the ’50. Experiment was Rats pressed lever – got food, Then changed it to changing it needing a number of presses before food was delivered. Finally random payoff. When random – the rats became obsessed with pressing the lever, even if it didn’t give food. 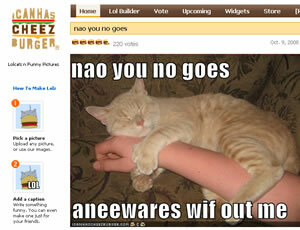 Arrival of LOL cats on I Can Has Cheezburger are just the same as this. A very interesting talk with lots to think about.